Download flier for more information. 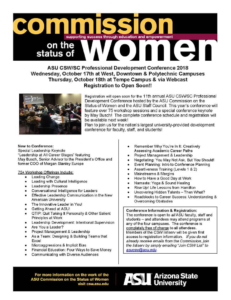 The ASU Commission on the Status of Women and the ASU Staff Council are hard at work planning the 11th annual ASU CSW/SC Professional Development Conference– the nation’s largest university-provided development conference! Watch In the Loop for registration information. The workshops will cover topics including project management, leadership development, stress and adversity, inclusion and intercultural competence and much more. 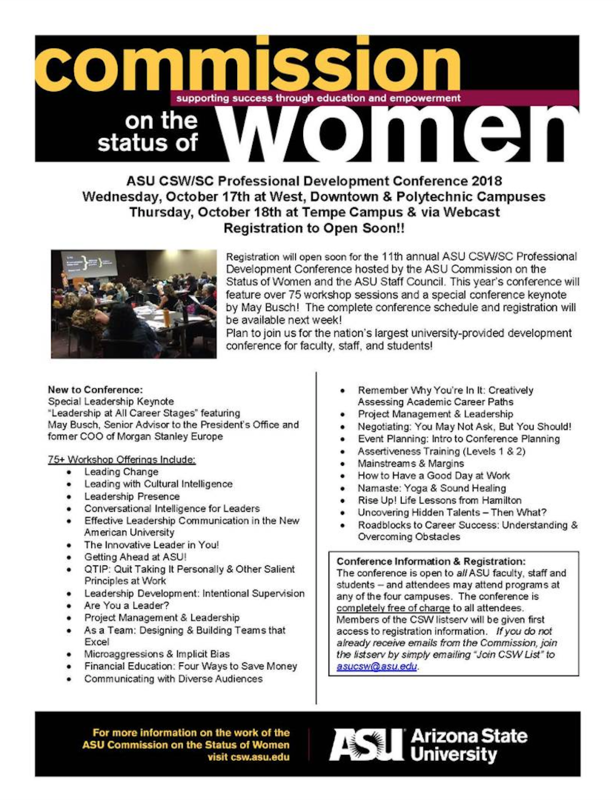 All ASU faculty, staff and students are invited to attend this free conference offered on any of the four campuses. Members of the CSW listserv will be given first access to registration information. 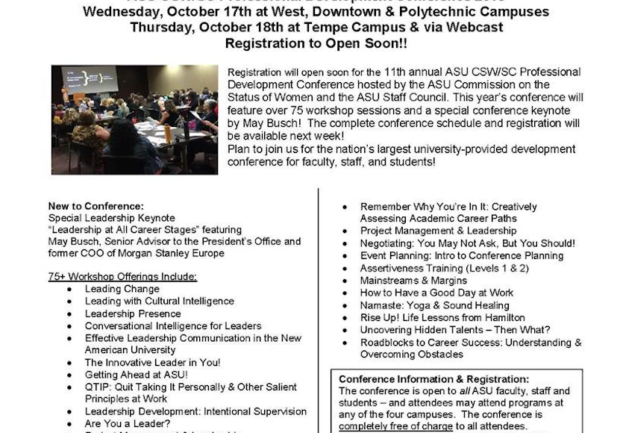 If you don’t receive emails from the CSW, join the listserv by emailing “Join CSW List” to asucsw@asu.edu.